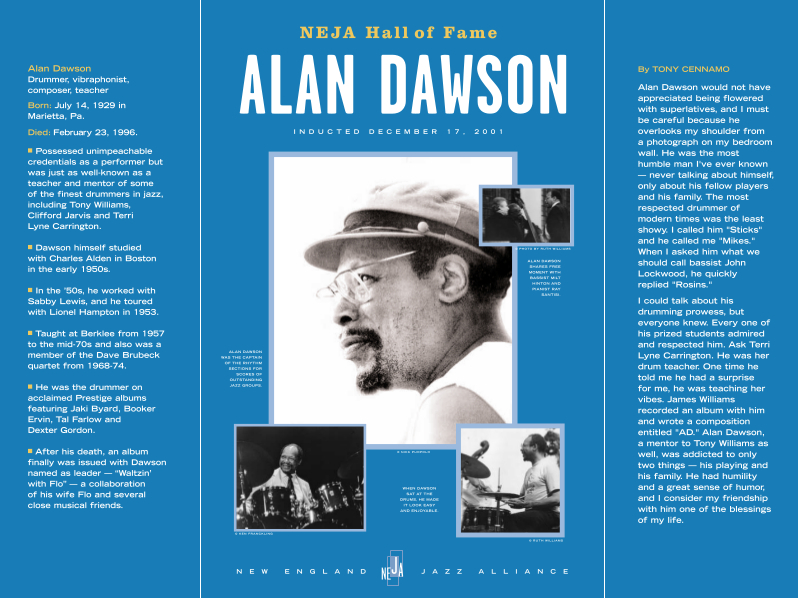 Since 2001, the Hall of Fame has inducted 20 great musicians into its ranks, and named musicians and non-musicians alike as Unsung Heroes of the music. 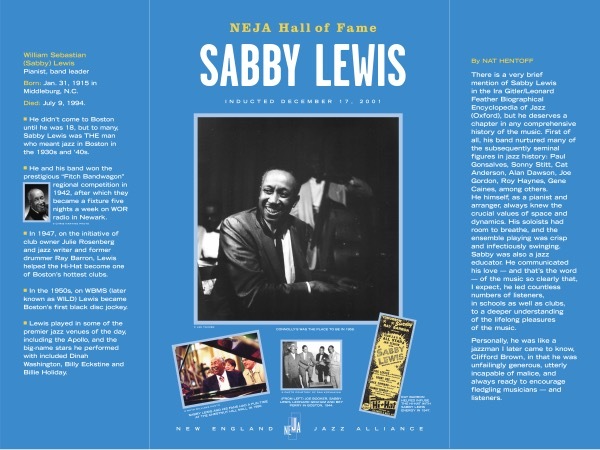 The New England Jazz Hall of Fame, which is dedicated to honoring the region’s greatest jazz musicians, is marking a banner year in 2017 with two major announcements. 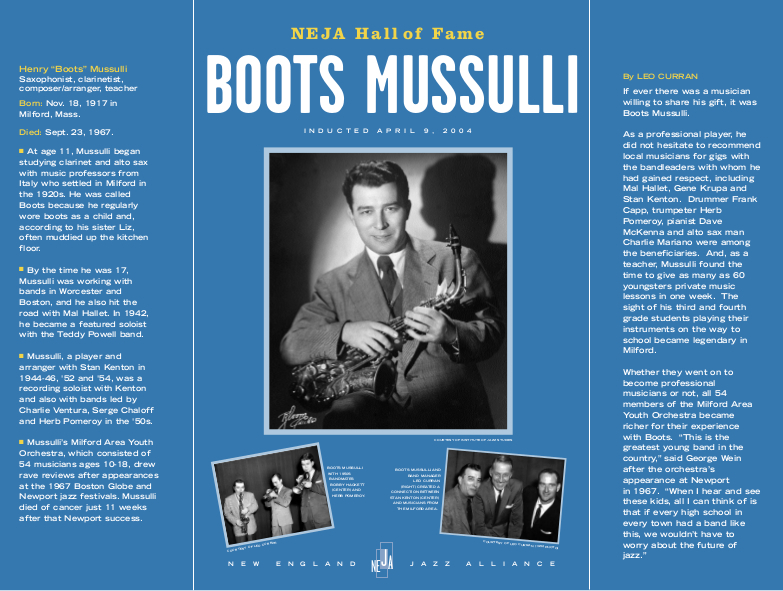 First, the Hall has found a permanent home with the Jazz Studies Program at Worcester Polytechnic Institute. 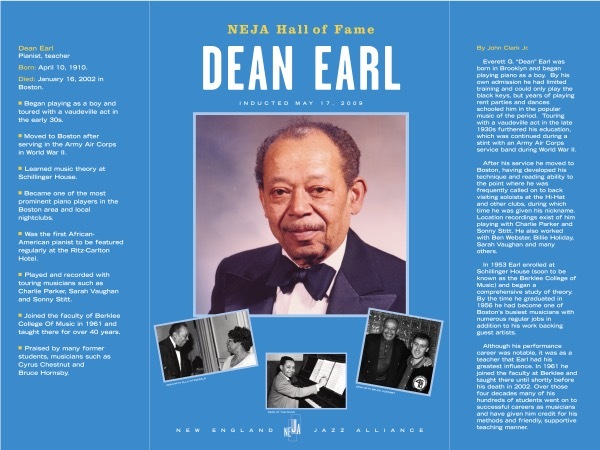 Second, it is commencing its fourth election cycle, which will open the doors to an unknown number of new members, as chosen by more than a hundred knowledgeable voters. 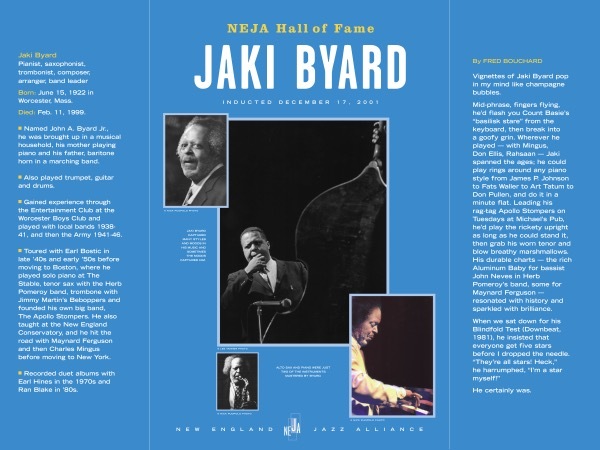 The place of jazz in American culture, and its status as our greatest cultural gift to the world, is often overlooked. 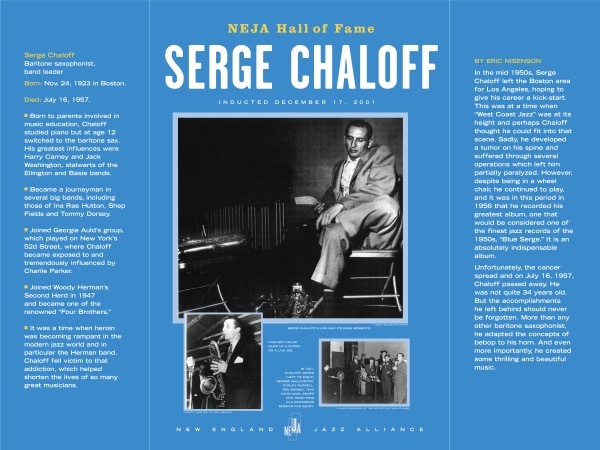 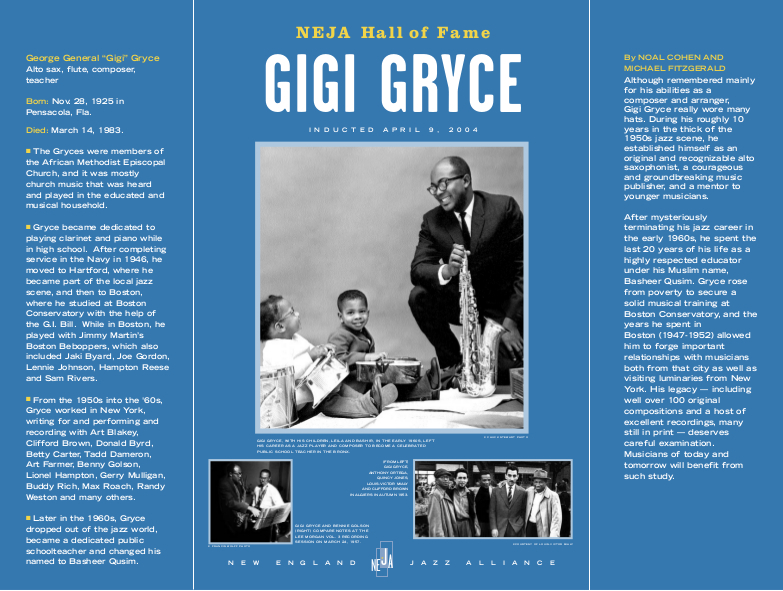 The New England Jazz Hall of Fame was founded to recognize that contribution, and in particlular to honor those with strong ties to our New England home. 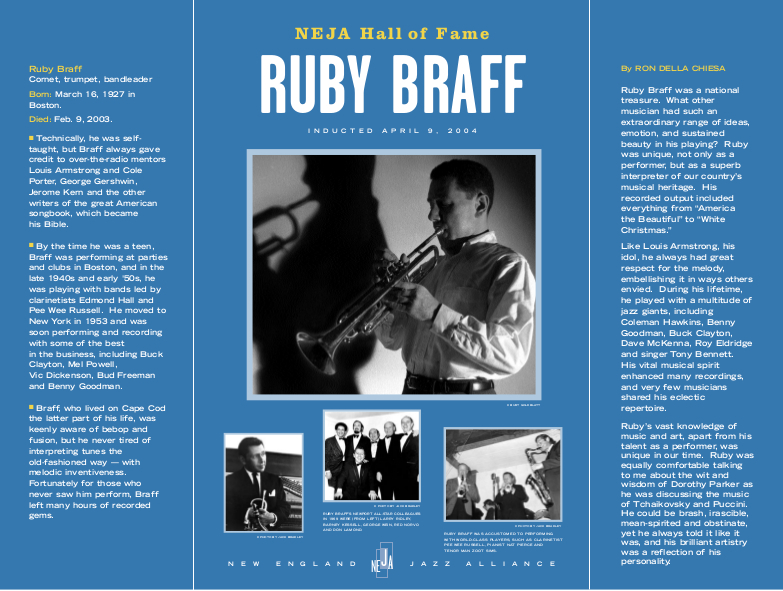 Photos and biographical information on the 20 members of the Hall of Fame. 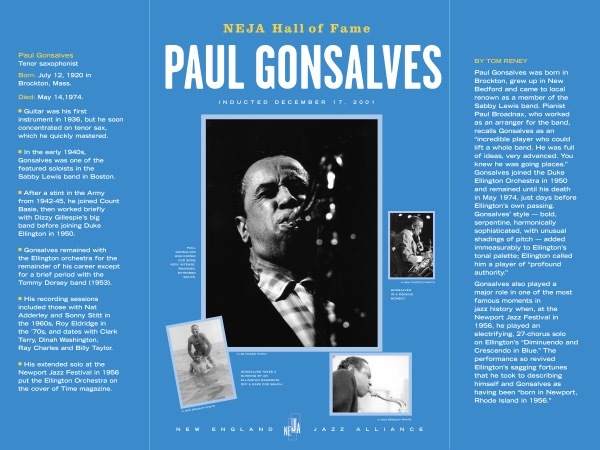 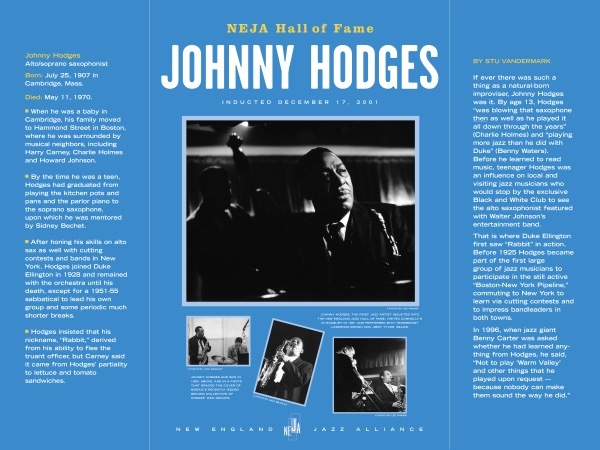 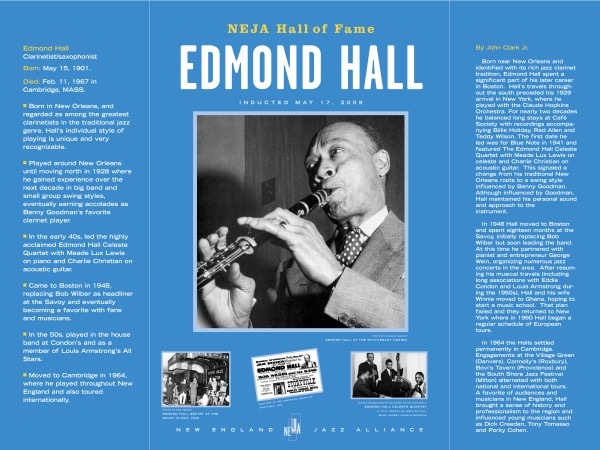 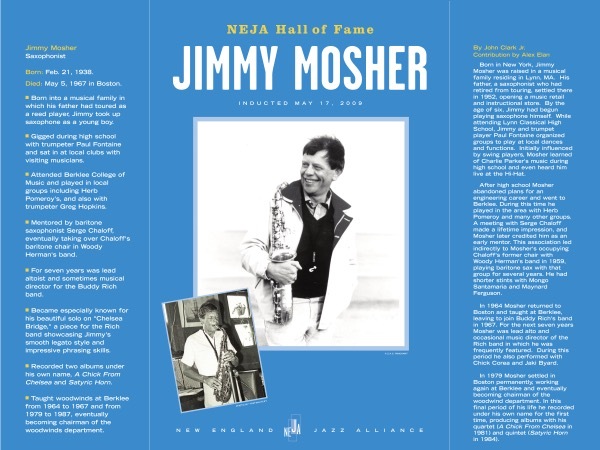 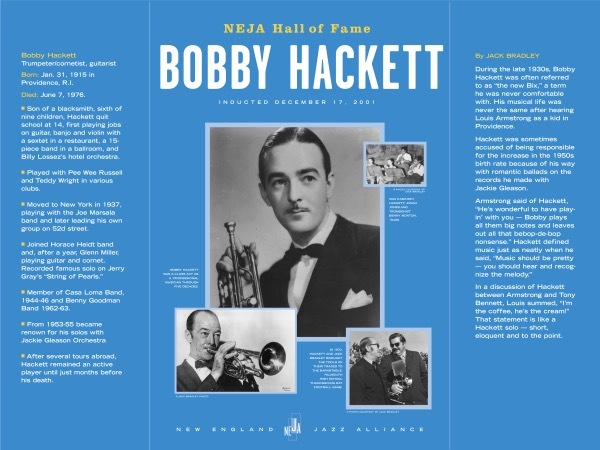 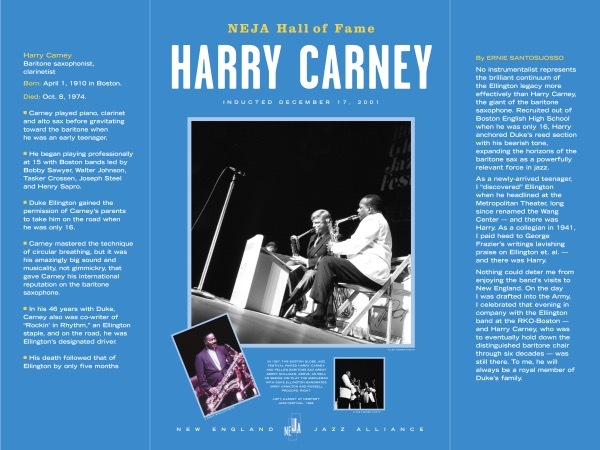 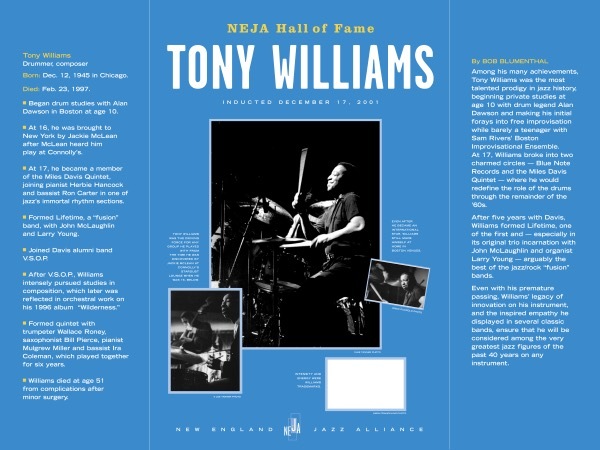 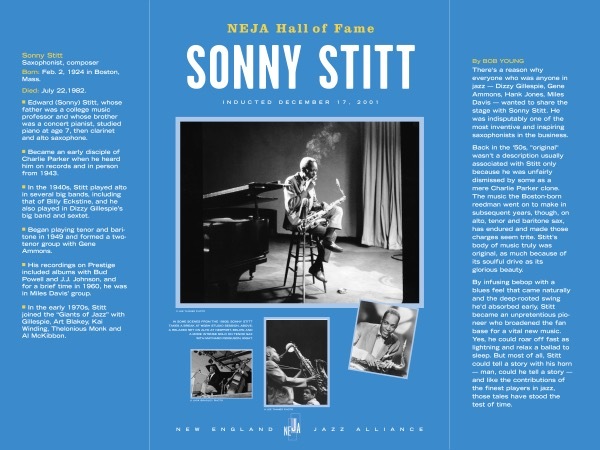 The stories and news releases in the library provide details on the Hall of Fame election cycles of 2001, 2004 and 2009, as well as on past New England Jazz Alliance events held to support and promote the Hall. 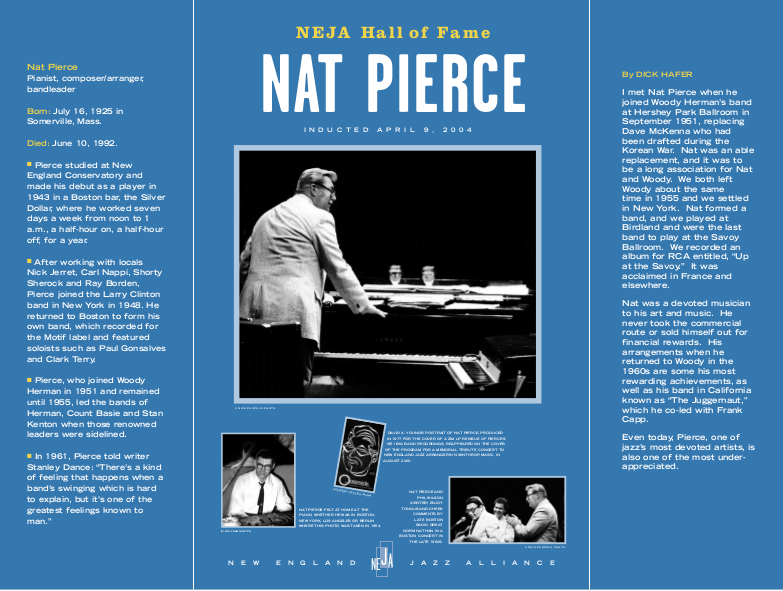 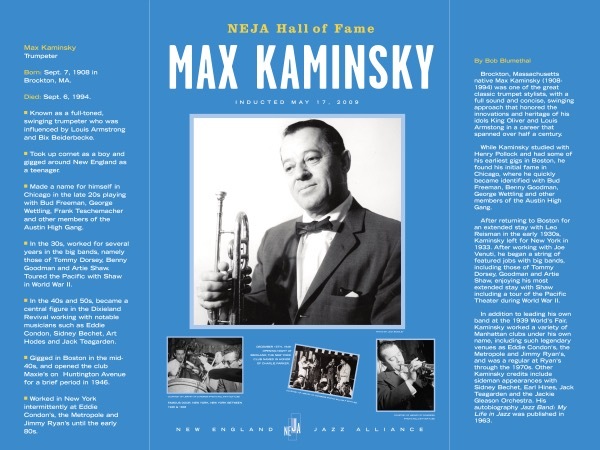 With the “Unsung Hero” award, the New England Jazz Hall of Fame recognizes a group of jazz advocates from around the region for their efforts in promoting and preserving the music. 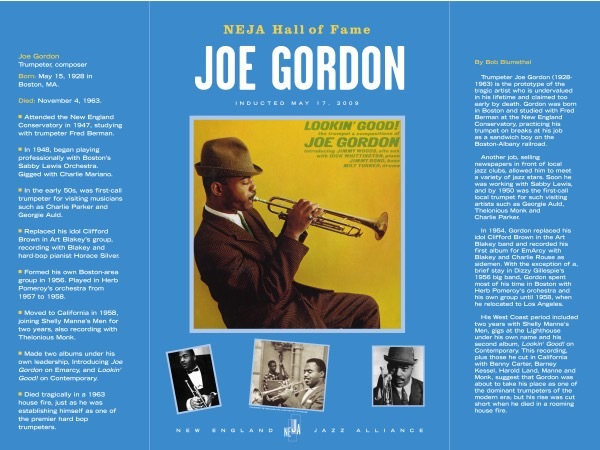 Some of these individuals were musicians and others were not, but all shared a passion for jazz worthy of widespread recognition. 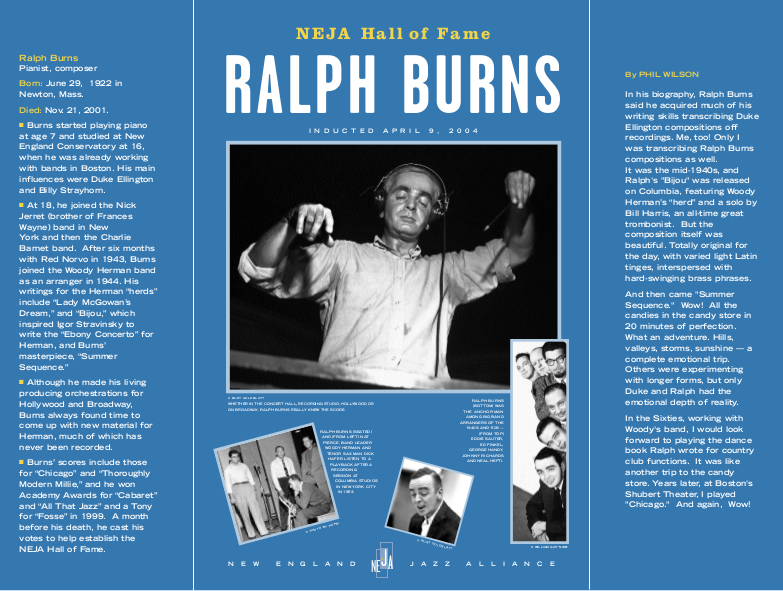 Five such activists have been named Unsung Heroes thus far.